Black currants were a fruit that people ate regularly in the 1950s and 60s. These delicious little berries were often grown in backyard gardens. Black currant bushes were planted along fence lines and beside vegetable plots. Most bushes grew prolifically and produced a healthy crop of berries. Children joined in to harvest and pick the berries, enticed by promises of black currant pie and jam. Nowadays, you don’t see fresh black currants for sale at the supermarket. It could be that it’s not economically feasible to harvest these tiny berries in large quantities. If you want to purchase black currants, you’ll probably have to head for the jam section. Why should you make the effort to add black currants to your diet, when blueberries, strawberries, and raspberries are available all year round? Black currants are exceptionally high in phenolics. Phenolic acids occur naturally in plants. They serve as signaling molecules that aid in the execution of cellular activity. Phenolic acids also act as agents of defense, helping to protect any plant in which they are found. When you consume phenolics, these compounds also protect you. They help to prevent the damage caused by free radicals, which can lead to inflammation and abnormal cellular growth. Black currants are also high in anthocyanins. Anthocyanins are pigments found in foods that give them their distinctive color. In the case of black currants, anthocyanins help the berries to grow with their rich deep-purple color. Anthocyanins possess anti-inflammatory properties, along with anti-cancer activities. Of all the threats to our health, inflammation and cancer are two of the biggest killers. • A variety of black currants called “Ometa” contained the highest amounts of anthocyanins and phenolics. Ometa black currants contained 278.9 mg of gallic acid per 100 g of fresh berries. • Delphinidin, an anthocyanin that gives blue hues to foods in which it is found, was the dominant compound in 11 varieties of black currants. The researchers also noted the following. When fresh black currants were processed into juices, the amount of anthocyanins dropped anywhere from 12% to 80%. This suggests that black currant juice may not be the best way to get a dose of antioxidants. The researchers did find, however, that freezing black currants helped to preserve important phytochemicals and the health benefits associated with the berries. In fact, they discovered that after one year of frozen storage, the berries showed an increase in total phenolics of 46% to as much as 170%. However, freezing seemed to take a toll on anthocyanin content, decreasing levels anywhere from five percent to 52%. In another separate study, researchers looked at the nutritional effects of processing and storing wild-grown berries. They discovered that the amount of phenolic compounds decreased during the processing to jam in all of the berries they looked at—with the exception of black currant. The next time you’re reaching for a jar of jam at the grocery store, grab some black currant jam. 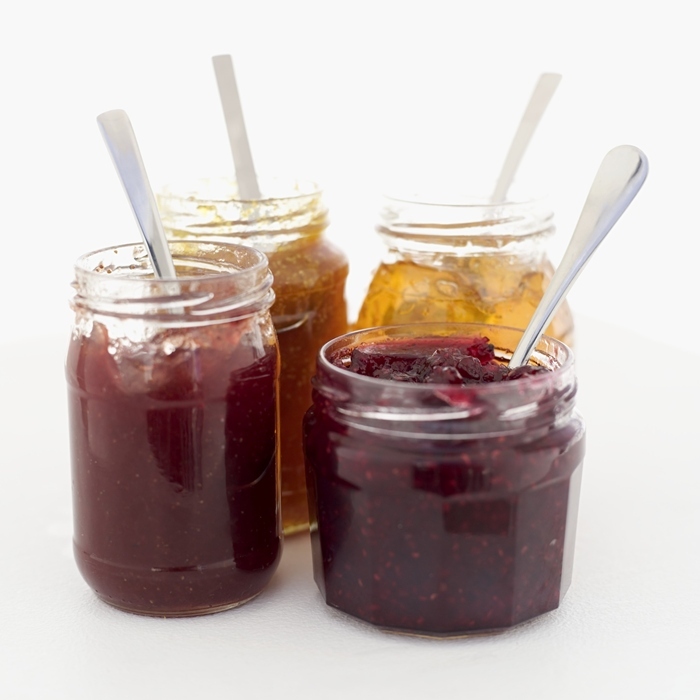 Not only will you have some delicious black currant jam to spread on your toast in the morning, but you’ll also be getting a healthy dose of phenolic compounds. Djordjevic, B., et al., “Biochemical properties of the fresh and frozen black currants and juices,” J Med Food. January 2013; 16(1): 73-81. Savikin, K., et al., “Phenolic content and radical scavenging capacity of berries and related jams from certificated area in Serbia,” Plant Foods Hum Nutr. September 2009; 64(3): 212-7.